New proposals that would bring about a major improvement in rail connectivity could be introduced by 2025. The Department for Transport plans – which are open for consultation under a call for evidence until close of play on 7 February – would ‘future-proof’ connectivity by rolling out fibre optic cables and mobile masts alongside tracks to provide gigabit speeds to trains. This could enable several hundred passengers to stream uninterrupted video content at the same time. 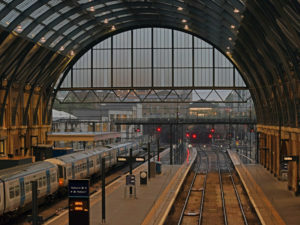 Current rail passenger connectivity is largely delivered through mobile phone networks operating from remote (non-trackside) masts, meaning coverage is patchy and in many places, non existent.